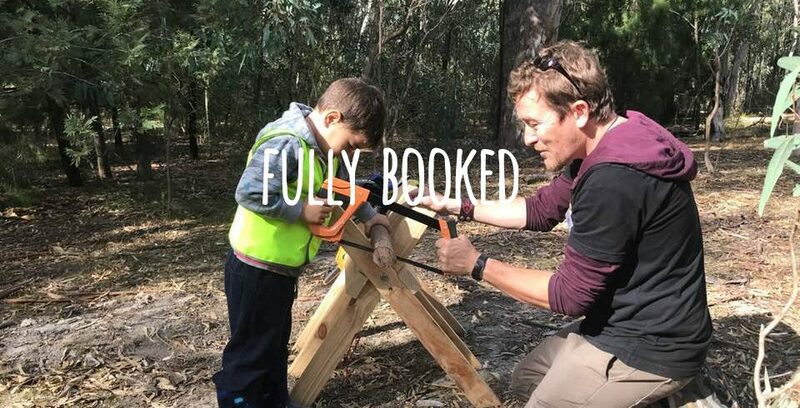 Join us for a weekly bush kindy program (10 sessions) where families gather to enjoy all the benefits that nature has to offer at the stunning Pound Bend in Warrandyte. Our Bush Kids program for children aged 3 -6 years is specifically aimed at developing and learning new skills through bush crafts, Indigenous/Australian stories and educational bush walks that inspires a develop love and deep connection to nature and encourages the use of gross motor skills through climbing, balancing and building. We investigate a different topic each week, learn how to track and find animals, how to safely use tools and make projects, light fires using a flint, make damper, build bush shelters, how to navigate and read maps, use a compass and do campfire cooking. Two sessions at the end of the Term will be spent at Westerfolds Park, Templestowe (11 mins away), where we have the ability to discover fire. In these sessions, we will be learning the art of fire making and the joys of a campfire and campfire cooking. Our Pound Bend Bush Kids Program is led by Adam who is one of the founders of Eco Explorers and has been delivering bush programs to families for over two years. He spent his childhood living and camping in the bush; climbing mountains, exploring rivers, learning to fish, track, make fires and to simplify… just ‘being’ at one in nature. Adam now hopes to share his childhood & adult experiences with the next generation to inspire a deep connection with nature. He has a background in Outdoor Education and is a trained level 3 forest school leader. The program has been developed to give your child the optimum opportunity to build their gross motor and physical skills through climbing, balancing, walking and fine motor skills during our craft activities. Research clearly shows that the more time your child spends in nature, the better they are prepared for school, both physically and emotionally. The sessions are all weather outdoor sessions so you need to make sure you bring appropriate weather protection and clothing. Children must have closed footwear when walking in the bush, sun hats, sunscreen, wet weather gear, plenty of snacks and water and a change of clothes. Our sessions will only be cancelled in the event of an extreme weather warning; fire, storm, high temperatures and strong wind. Ages: 3 – 6 years (kinder & homeschool welcome).